We berthed this morning at Luganville at about 8am, but no hurry, let all the passengers on tours get off first, and so after a light breakfast in the Neptune Lounge, we head ashore at 10. We have never visited this island before, and YM and I think it probably a good idea to hire a taxi and explore the sights. On the wharf, during the ritual process of haggling negotiating prices with some local pirates, we bump into Al, a charming young(ish) Texan guy who we seem to always bump into onboard the 'Oogivesadam'. 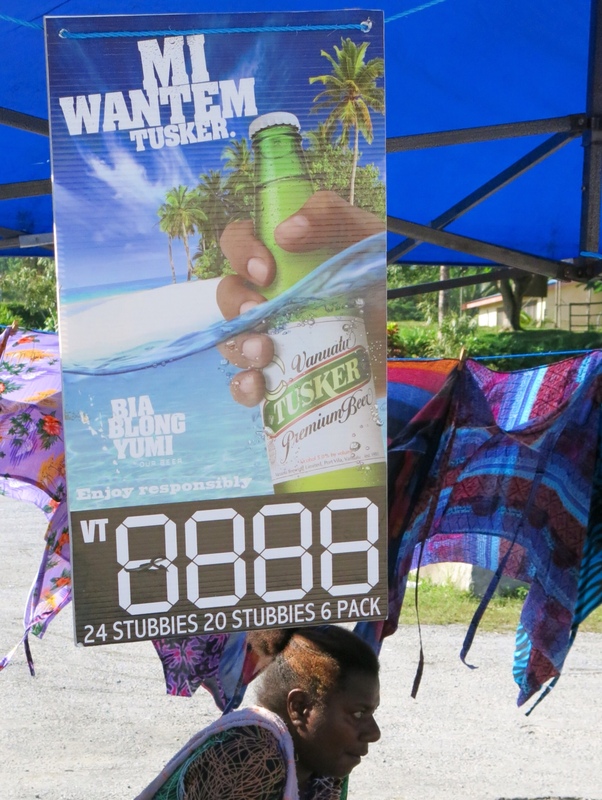 He has just finished his negotiations, has it down to just $5 a head, and asks if we want to join him. 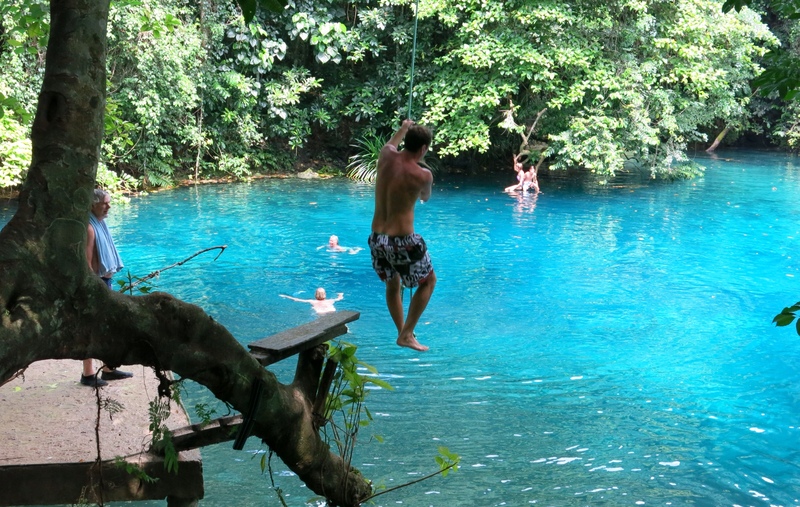 After enquiring where he intends going… “The Blue Hole” (a popular swimming spot in the jungle, where the water, which comes from a natural spring, is so crystal clear that it appears to be 'blue'.) he tells us, and without hesitation we agree . “OK, meet over there” Al points, and when we reach the 'taxi' (an old 'people carrier' sort of vehicle ) we discover he has been negotiating for a group of nine others. We don't think there'll be room for us as well, but Al insists, and so we all squeeze in. The other passengers, a couple of whom we have met before, are all a good deal younger than either YM or I, and it turns out to be a good good fun trip. We drive along into the interior for about 20 minutes, before we reach a bridge over a river, where we make a stop. This is obviously not the famous ' Blue Hole” and the driver informs Al that to get to the 'Hole' we first have to pay an 'admission charge' of $10 each. Even Al's great charm, and superior skill in bargaining, wasn't good enough to sway Aole the driver. 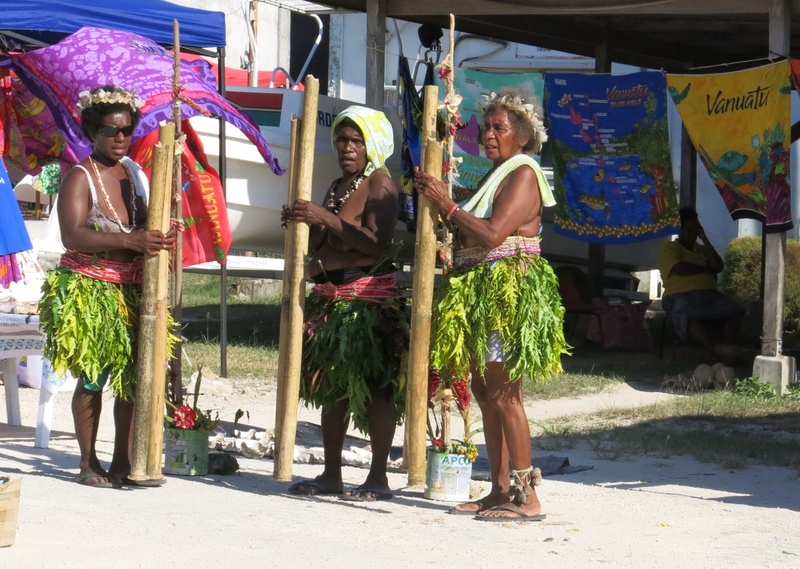 At that point we were approached by another local who pointed to the river bank where there were some 'outrigger dugout canoes' waiting. 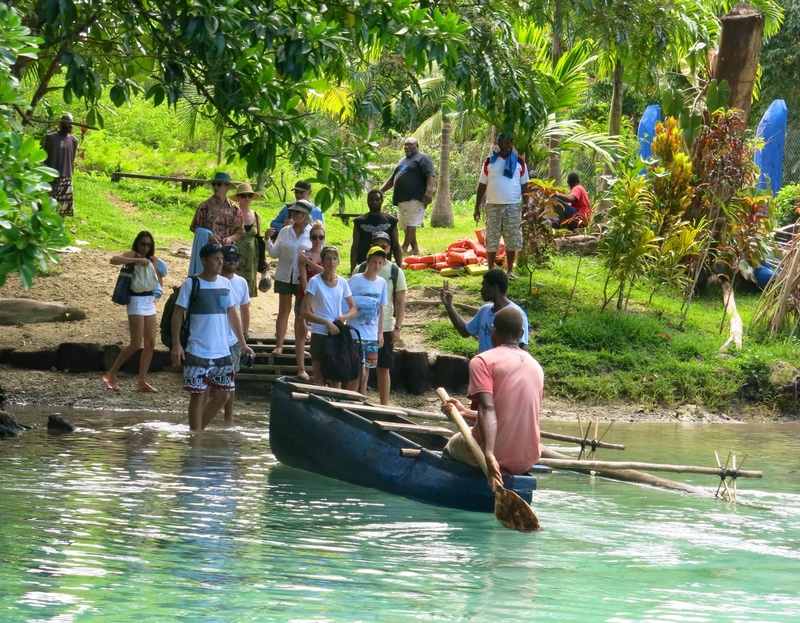 The deal was they would paddle us upriver to the Blue Hole for $10 each, and that would include the entrance fee to swim in the lagoon as well. That seems like a fun trip, so YM Al and I get into the first canoe and with the local guy paddling it, off we go. 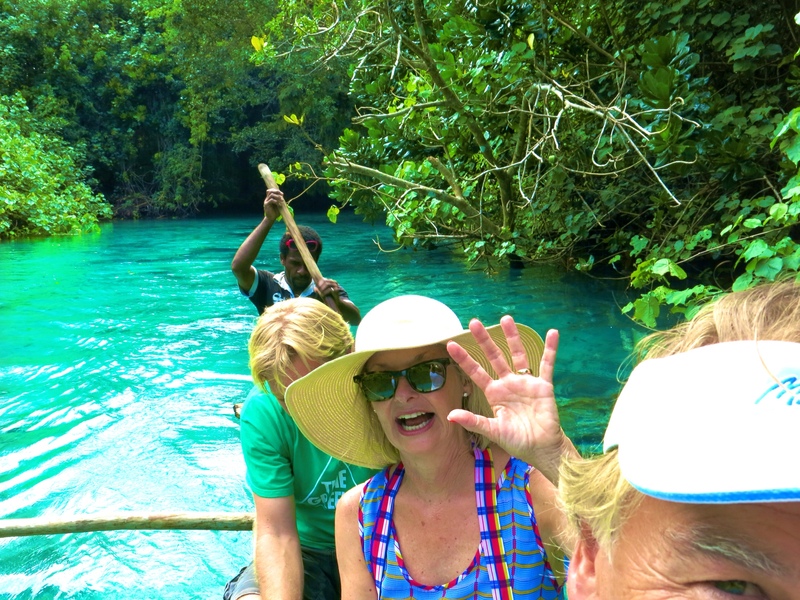 It took our canoeist about 10 minutes of paddling up the river, past amazing scenery, the water crystal clear, and the only sounds heard being bird-calls and the soft lapping of the water against the wooden hull. It's close to idyllic. 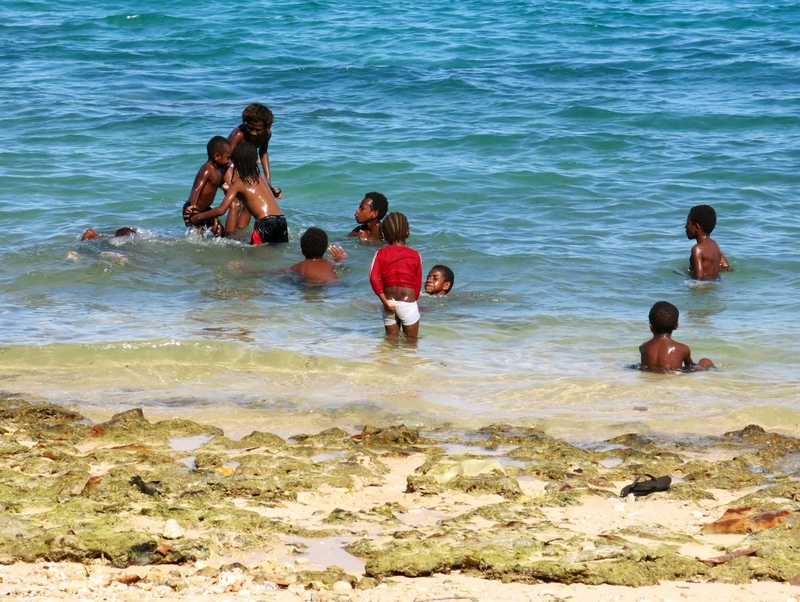 When we reach the 'lagoon' or 'Blue Hole' we quickly change into our bathers and leap into the water for a swim. 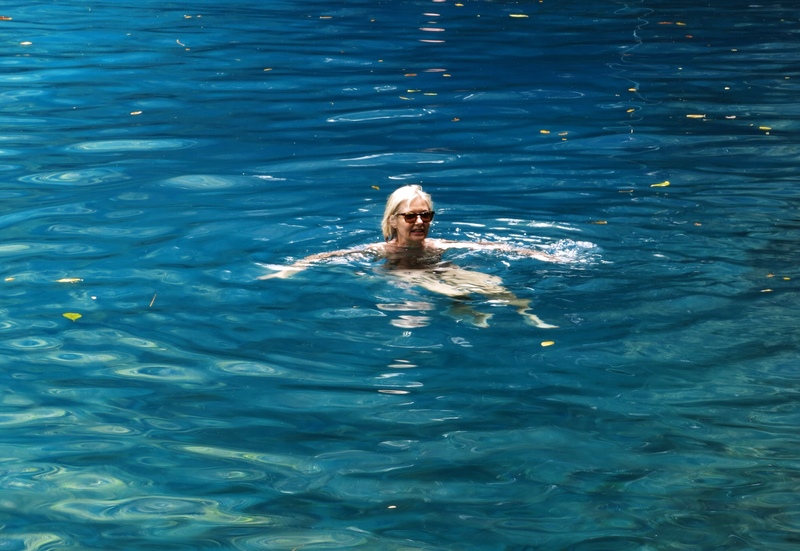 A hot humid day and cool clear waters made for an excellent combination. A rope 'swing' had been rigged up, and we all had a lot of fun on it, swinging from the platform and across to the other side, before letting go of the rope and splashing down into the lagoon. We amused ourselves like this for about an hour and half, before making the return journey downriver, where our driver was waiting to take us back to the ship. Now I'm not sure that Million Dollar Point is worth the 'twennee' dollars admission fee, but it is quite interesting. 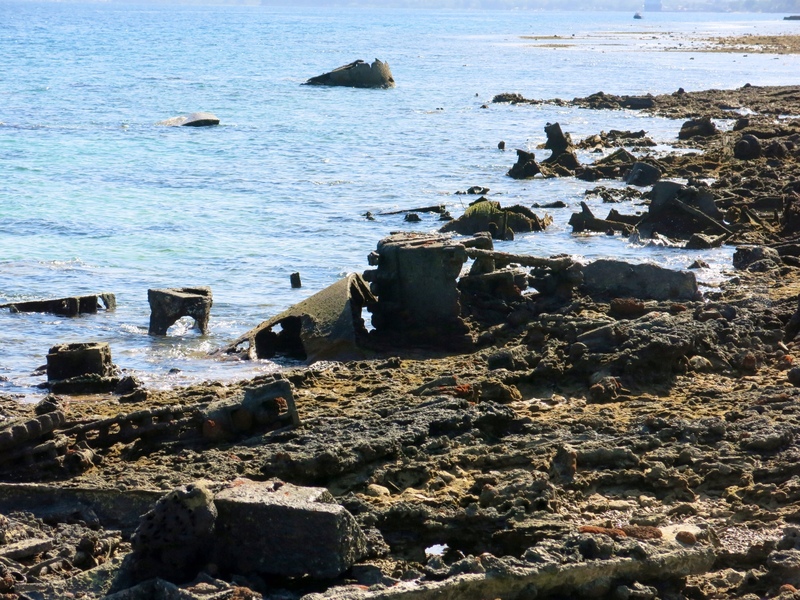 It was a bit of luck that it was 'low tide' as we could see that the beach was still littered with bits of rusting engine parts. Amazing really, that even after almost 70 years had past, that so much still remained intact. Had we brought snorkelling gear, we were told that the relics underwater, and visible out further were even more amazing. 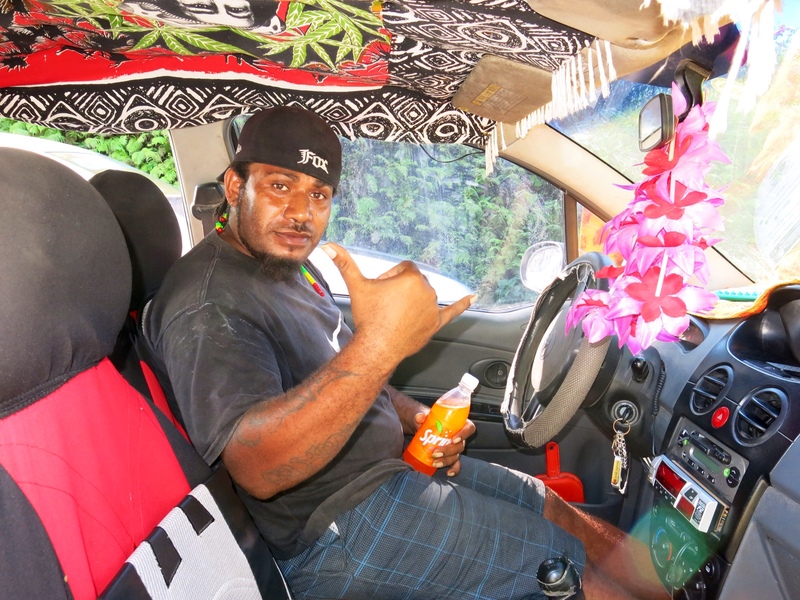 Our new driver, a well built, fully fledged 'rasta', with tattooed arms ( and I'll bet, others hidden from view) has taken his love of 'Marley-dom' to a new high ( appropriate phrase eh!) 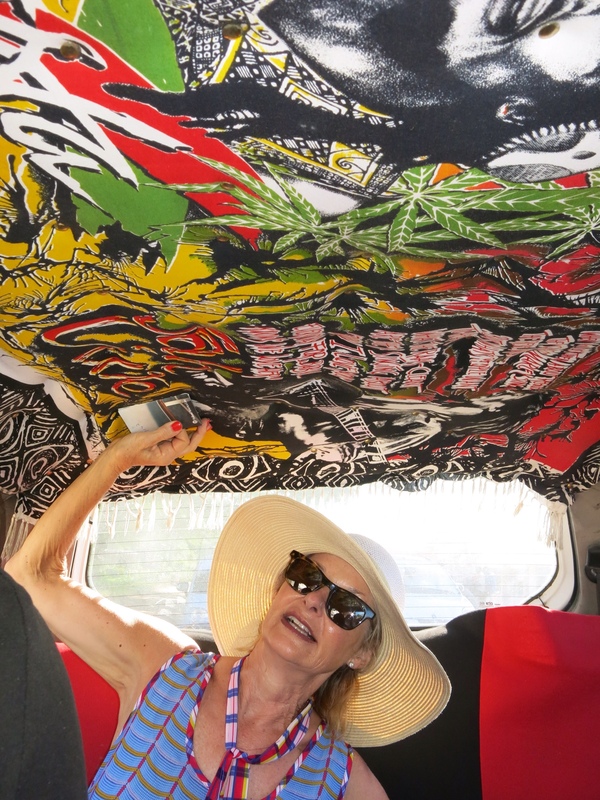 and his 'motor' car was decorated with much Marley regalia, including a fantastic ceiling. ( see photos). 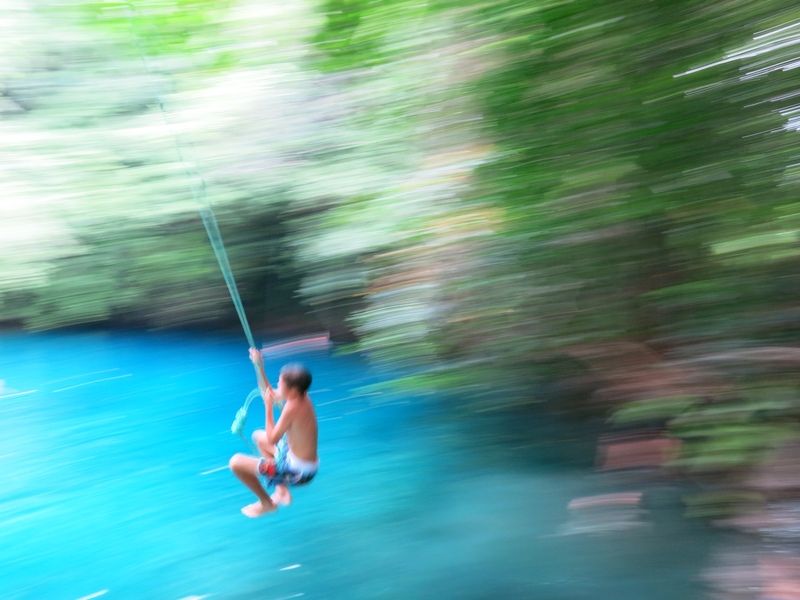 Is that you on the rope swing?! I’m impressed… we are definately going ziplinning when you are here! !